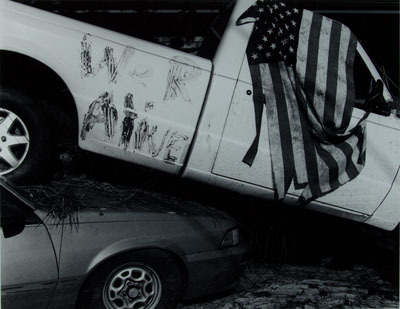 Known for her dark images and moving portraits, New Orleans native Debbie Fleming Caffery received a Katrina Media Fellowship from the Open Society Institute Soros Foundation to photograph in the aftermath of the hurricanes Katrina and Rita. 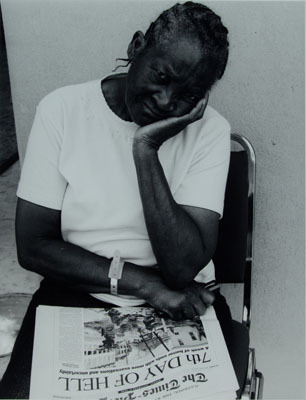 Caffery's interest in the displaced residents of New Orleans, the destruction and ensuring neglect of the Ninth Ward, and artifacts left behind became the focal points of this series. 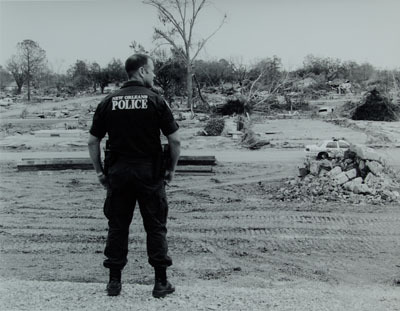 The result is a poignant view of the personal loss, grief, and devastation for those who lived through one of the United States' worst natural disasters. For more than 30 years, Caffery's keen eye and camera have explored the people and culture of Louisiana. From immigrant sugar cane field workers to alligator hunts and family portraits, she has exhibited extensively in the US. Solo exhibitions include the Smithsonian Institution National Museum of American History, Museum of Photographic Arts (San Diego), and the Museum of Contemporary Photography (Chicago). She is a Guggenheim Fellowship recipient (2005) and a Louisiana Governor's Art Award recipient (1990). Among her highly praised publications are Polly (Twin Palms Press 2004) and Carry Me Home (Smithsonian 1990).